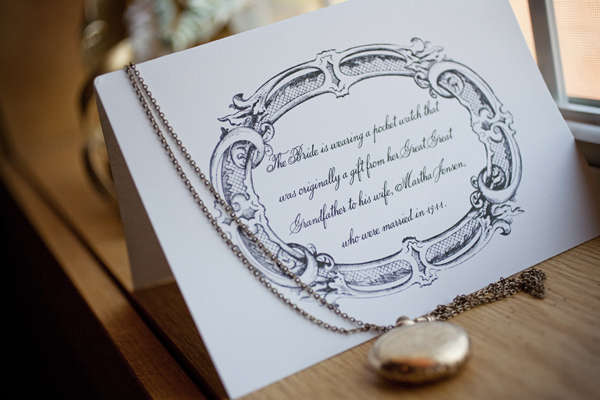 These days there are so many outlets for bringing unique stamps of personality to your wedding. One of my favorite is by paying tribute through heirloom pieces to the memory of lost loved ones or those unable to attend your ceremony. 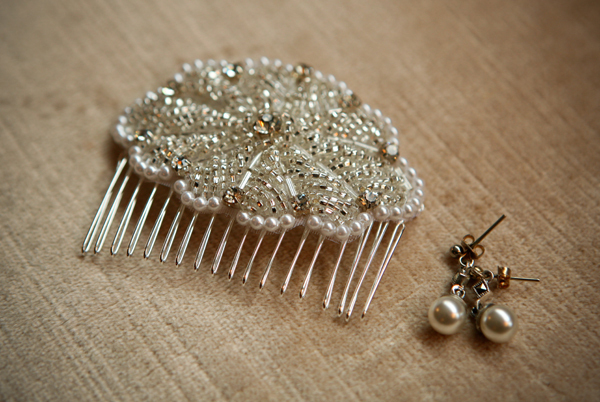 There are several ways to incorporate heirlooms into the design of your wedding. 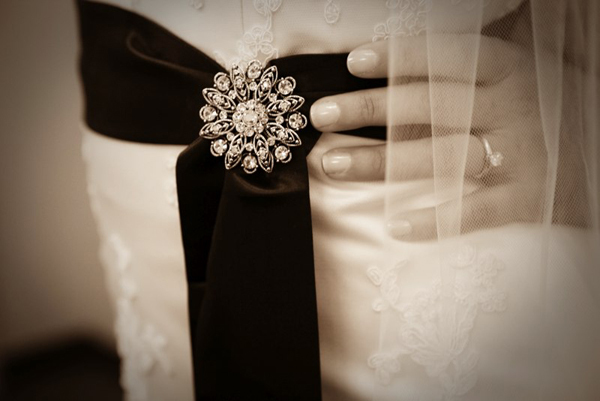 Whether it is by wearing your great grandmother’s necklace or your mom’s wedding dress, or by adding a broach to your bouquet, you can make a lovely statement that is unique to both you and previous owner. 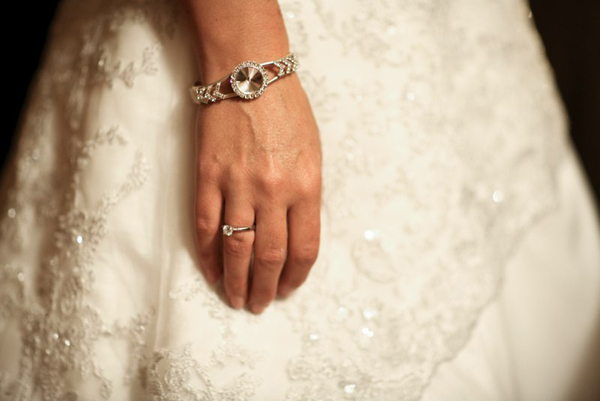 As the saying goes, “something old… something borrowed.” Be sentimental with style! This piece is amazing! 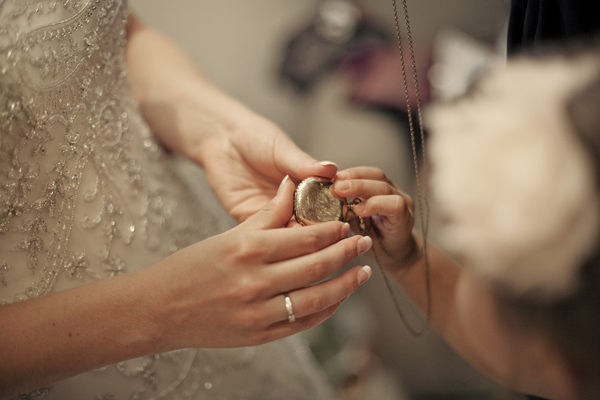 The bride wore her great great grandmother’s pocket watch as a necklace. 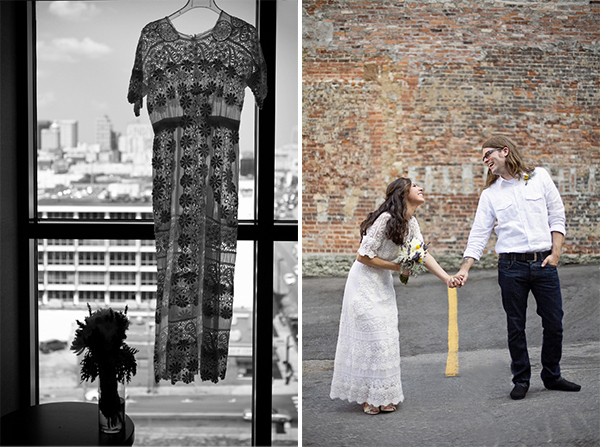 This 100+ year old dress looks as though it were made for this lovely bride. 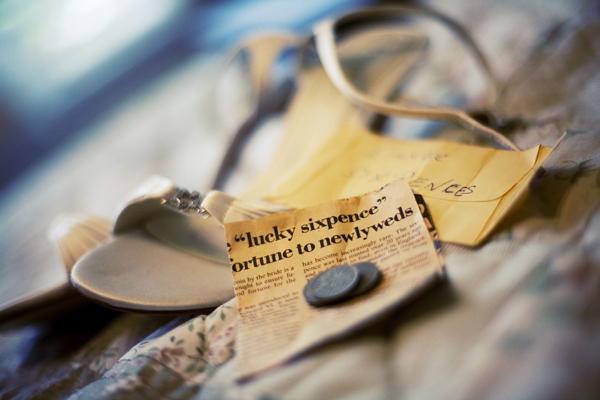 Such a sweet tradition- a sixpence that was passed down in the bride’s family for all the ladies to wear in their shoes when they wed. 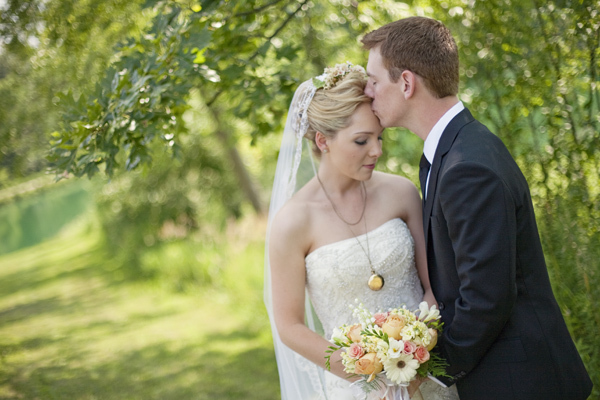 This vintage broach is the perfect addition to this bride’s attire. These pieces have to be from a grandmother with serious style. Love this art deco watch- a perfect accessory. 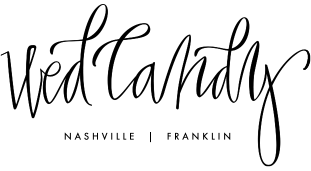 Share your heirloom ideas in the comments section.